James Waltham Curtis was an English-born painter, illustrator, and photographic colourist who became an early practitioner of a distinctively Australian style of art. 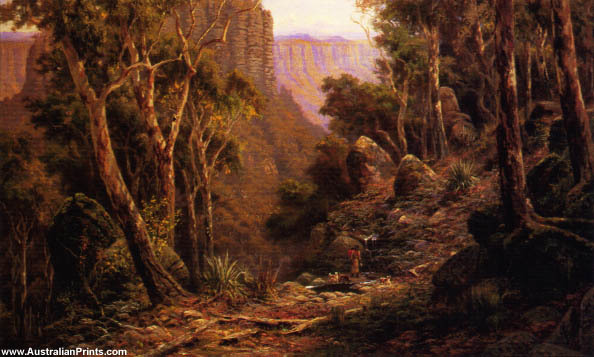 James Waltham Curtis (c. 1839 – September 18, 1901) was an English-born painter, illustrator, and photographic colourist who became an early practitioner of a distinctively Australian style of art. James Curtis was born in Devonshire in 1839 and went to Victoria, probably with the goldrush working in Melbourne, first as a colourist for the photographers Johnstone, O’Shannessy & Co., then as an illustrator for the ‘Illustrated Australian News’. He is described in the catalogue of the ‘Intercolonial Exhibition’, Melbourne-Philadelphia, 1875-76 as ‘the Australian Gericault’. 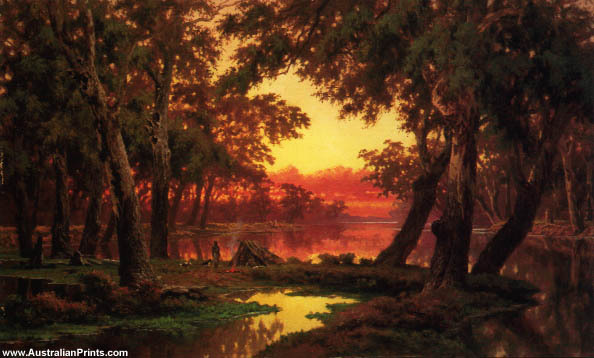 After Curtis’ death, 70 of his Australian landscapes were presented from his estate to the Leland Stanford junior University, California. His work was seen in ‘Australian Art in the 1870s AGNSW’, Sydney 1976 and the Bicentennial exhibition ‘The Face of Australia’. Artist information page for James Curtis. This article uses material from the Wikipedia article James Curtis, which is released under the Creative Commons Attribution-Share-Alike License 3.0.